Dom Prosper Guéranger (1805-1875) devoted himself to liturgical scholarship, polemics, and the establishment of Benedictine communities in France. 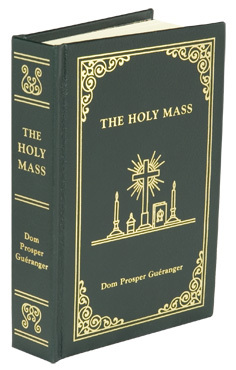 The Holy Mass is Guéranger’s most extensive treatment of the heart of the liturgy and firmly established him as a leading liturgist. By turns devotional, exegetical and historical, this is therefore a timely publication of one of the great treasures of Catholic liturgical spirituality.